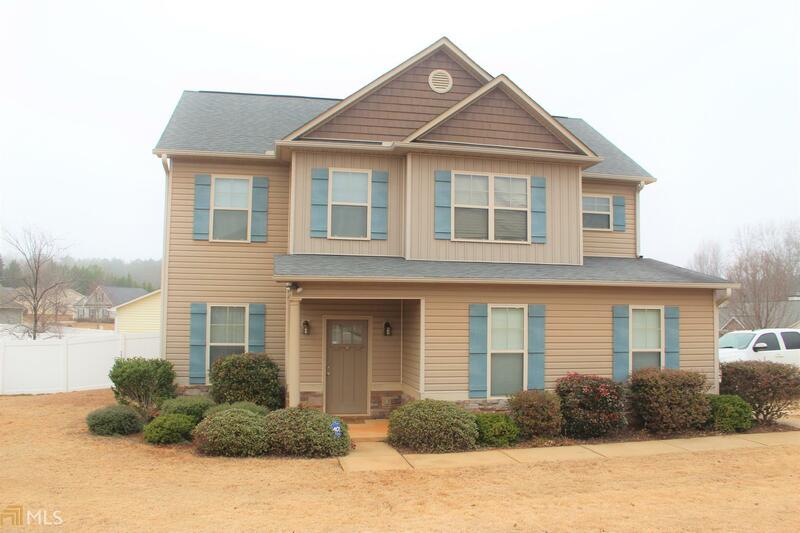 Like new 3 bed/ 2.5 bath a stone&apos;s throw from EVERYTHING! This house is immaculate! New interior paint throughout! Main level features open floor plan with gorgeous kitchen with a massive amount of counter space, pantry, breakfast area, Great room with fireplace, Separate dining area with hardwood floors, Half bath on main, Drop area for backpacks and coats, Back patio overlooking fenced yard! Upstairs features Spacious master with walk in closet, Large bath featuring double sinks, separate soaking tub and shower and separate water closet, Bedroom 2 has a built in closet system, Laundry located upstairs for ease! Plenty of windows! Lots of light! You must see this one!